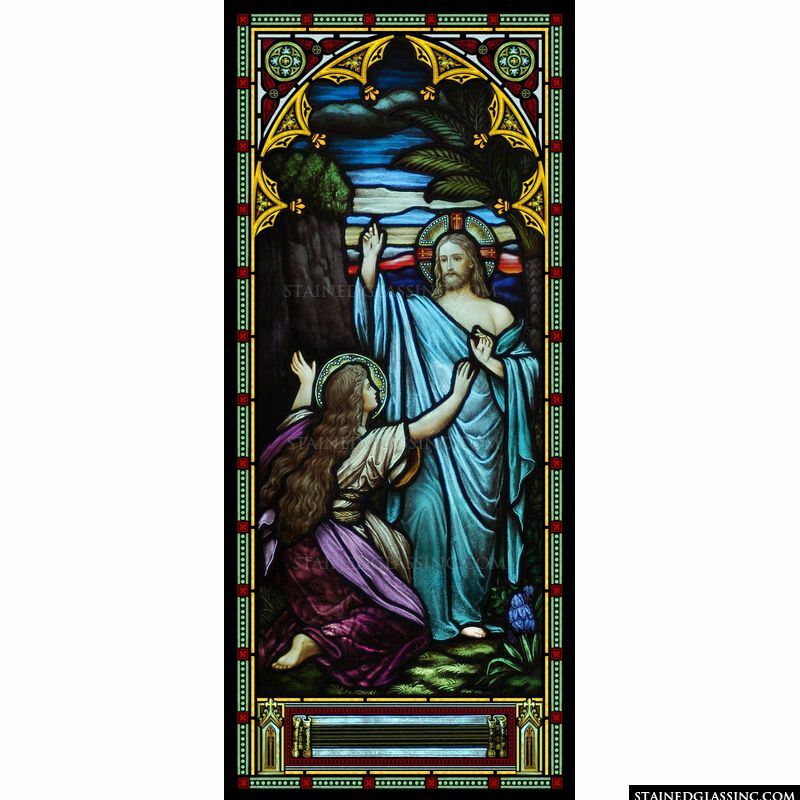 This finely detailed inspirational art panel highlights Mary Magdalene recognizing Jesus after His resurrection. 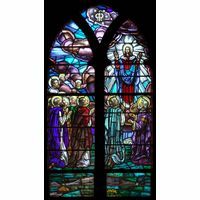 The brilliant shades of blue and purple shine as the sun filters through this church stained glass art. 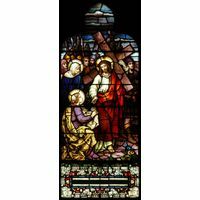 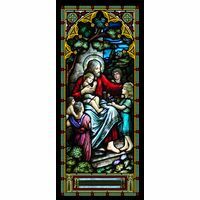 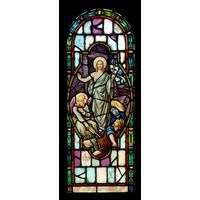 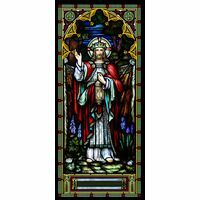 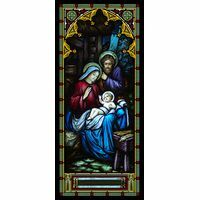 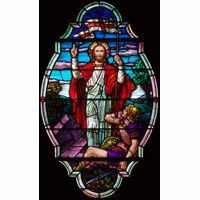 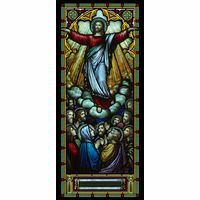 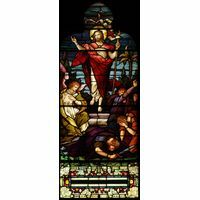 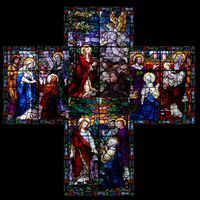 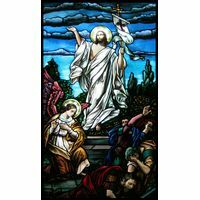 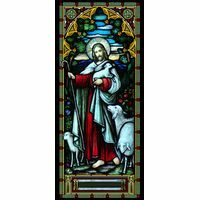 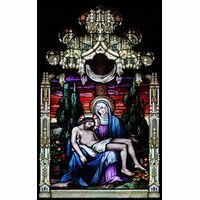 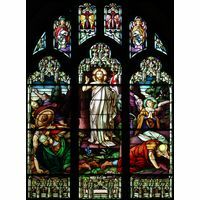 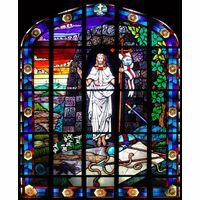 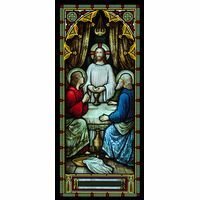 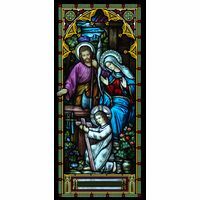 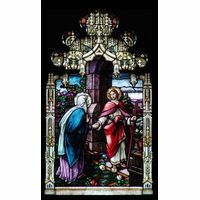 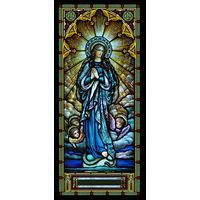 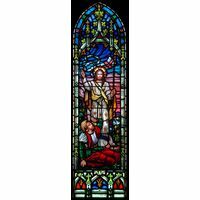 Display this stained glass panel in your church, chapel or basilica and inspire onlookers for years to come.